Many couples want to plan their own weddings and hire a wedding planner/coordinator to implement the plan on the day of the wedding. Although it is called "Day Of Coordination" (or DOC for short), your wedding coordinator will become involved at least one month before your wedding. According to BrideWorld.com, "Hiring a professional wedding coordinator just for the wedding day, to organize and manage details, can save a bride's sanity." If you have planned out the majority of your wedding, a "day of" coordinator will serve as your total relief on your wedding day by tying up loose ends and finalizing dates and times with all vendors involved. There are a lot of details to worry about on your wedding day, so why not let a coordinator worry about the details instead of you? During the month leading up to your big day the coordinator will make sure that all contracts have been signed with all vendors, ensure that everything from the flower girl's dress to your dress will be ready, confirm the final itinerary with you and all of your vendors and, most important of all, take the stress off of you. The "day of" ceremony services include making sure the flowers, decorators, cake, photographer, limousine and entertainment all arrive when they are supposed to, provide coordination for the ceremony so that it runs smoothly, acting as crowd control in between the ceremony and reception, and making sure that everything is taken care of so that you do not have to. As you can see, the major benefit of having a "day of" coordinator is total relaxation. Wedding coordinators take pride in taking the weight off of your shoulders on your wedding day. That is what we live and breathe to do. 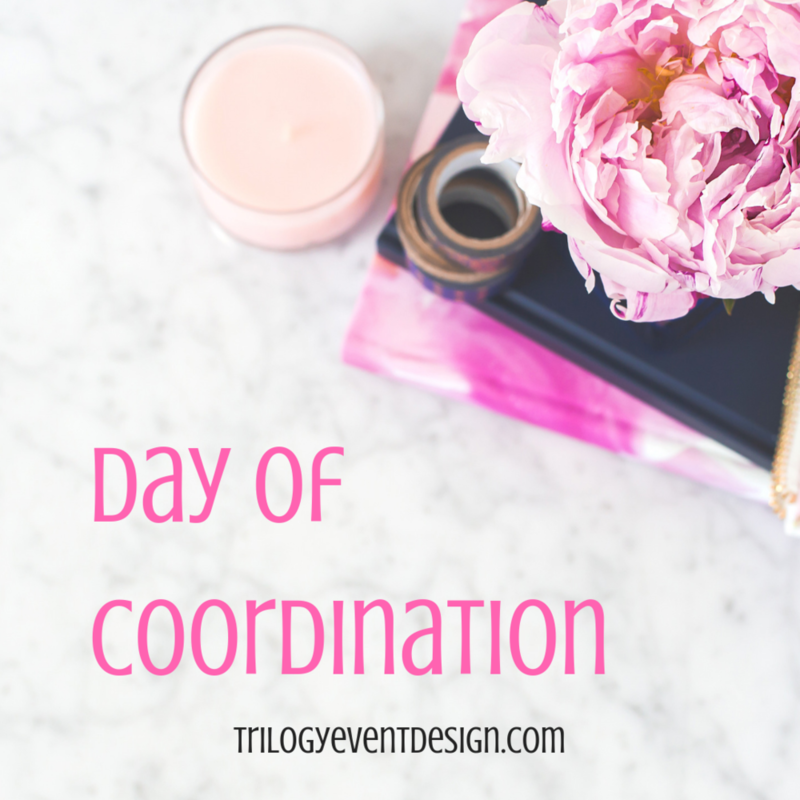 Consider having a "day of" coordinator for your wedding day. Because, after all, don't you deserve to have maximum relaxation on your special day? In our new series, we will provide several tips for brides to understand what they need to prepare in advance to make an efficient transition over to the wedding coordinator. Posted on March 25, 2019 by Randi Martin and filed under Wedding Planning and tagged day of coordination Wedding Planning. The date for the Money & Matrimony Workshop has changed to APRIL 26, 2019. All other details remain the same. We will still be at Southern Cross Kitchen in Conshohocken. We will still open the doors at 6pm. We still plan to give you awesome financial planning tips to guide you as you prepare for your wedding, honeymoon, home buying, and family growth. Posted on March 20, 2019 by Randi Martin and filed under Wedding Planning and tagged money money and matrimony financial planning Wedding Planning workshop wedding wednesday. 1. Give yourself enough time to get what you really want. How many times have you rushed to the mall to buy an outfit at the last minute? You probably got frustrated and annoyed when you weren't able to find exactly what you pictured in your mind. You probably ended up buying something you really didn't like or want. Is that what you want for your wedding? Get the big jobs taken care of first. Figure out how many guests you want to attend before you look for a venue. Find your venue before you buy your dress. Hire your most important wedding pros (photo, video, music, florist, etc.) early. Hire a wedding planner to help narrow down the options. A professional wedding planner can match high-quality vendors to your budget (a huge timesaver for you). If the cost of wedding planning services is a concern, ask about packages and different levels of service. Even if you hire a wedding planner, you are still an active participant in the planning process. Make sure you describe your vision clearly so you can be on the same page. Buy a purse-sized notebook and carry it with you at all times. This notebook should include details such as the addresses and phone numbers for your venues, the name of the flowers you fell in love with as you skimmed thru a magazine in line at the supermarket, etc. (You never know when or where you will be inspired.) You should also use this notebook to jot down items to remember from vendor appointments such as prices and service options. At home, keep a portable file box or large binder handy for all of your magazine clippings, receipts, and contracts. 4. If you need help, ask for it. Repeat after me "I am not Superwoman!" Sometimes, you may need a friend's opinion or an extra set of hands. Delegate some of your tasks to your bridal party. Be nice... not a horrific Bridezilla. While your at it, assign a few tasks to the groom too. After all, it is his wedding too. 5. Take some nights and weekends off from planning your wedding to enjoy being engaged. The experienced staff at Trilogy Event Design is ready to meet with you to find the best ways we can work with you to eliminate some of the stress and overwhelming feelings that come along with planning a major life event. Planning your wedding should not be mentally draining. Contact us today! Posted on March 18, 2019 by Randi Martin and filed under Wedding Planning and tagged stressed Wedding Planning. The Money & Matrimony Workshop is scheduled for April 12, 2019 at Southern Cross Kitchen in Conshohocken. 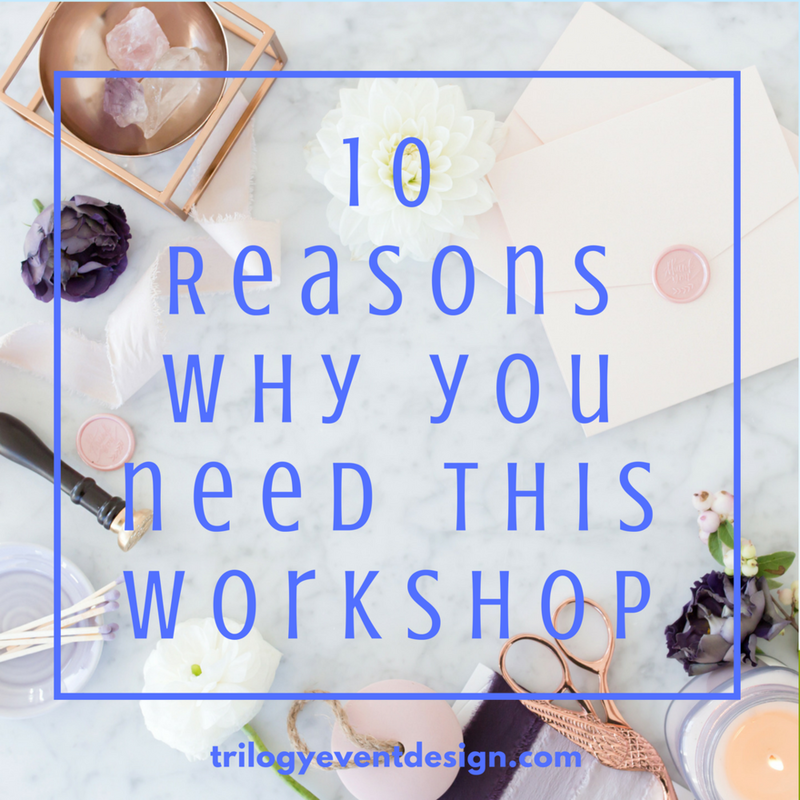 Randi Martin, Chief Event Planner @ Trilogy Event Design will help you to plan your fabulous wedding with tips to save your time, save your money, and save your sanity. Lateisha Johnson, Licensed Financial Coach and CEO @ Wealth & Wellness Network will give you the financial secrets to your happily ever after. Posted on March 13, 2019 by Randi Martin and filed under Special Events and tagged Wedding Planning money workshop wedding wednesday.